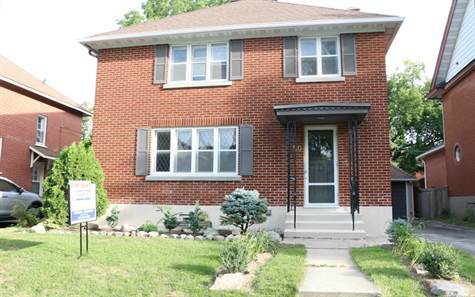 Unique opportunity to live in a spacious family home in the much sought after Civic Hospital neighbourhood. This 4 bedroom/2.5 bath home features hardwood floors on main and 2nd levels, spacious principle rooms, main floor family room with 2 piece powder room, private deck & backyard. Single detached garage and private driveway. for professional hospital personnel. AVAILABLE SEPT 1,2016 THROUGH AUGUST 31,2017.